TYC contributors Louis Mark Romei, Holly Seplocha, and Laura Colker answered the question: "What's your advice for a new preschool teacher?" as part of a Q&A on Back to School Strategies. Together they shared 10 tips. Each issue provides useful, research-based ideas and activities that preschool teachers, educators, and PreK teachers can use in their classrooms. 1. Be prepared and organized. This means having materials ready for whole group and small group activities as well as for centers. It also means being prepared for mishaps like spills, accidents, and runny noses. It means keeping sanitation and safety in mind: washing your hands and theirs on arrival and throughout the day; cleaning and sanitizing tables for meals; having tissues and gloves handy; locking up poisons and anything that says to keep out of reach of children. 2. Establish a regular routine and schedule. Keep whole group gatherings short. Remember that children have varied attention spans and learn through play and active engagement. Read every day. Limit transitions. Balance active and quiet times as well as child initiated and adult facilitated time. Classroom management is often an issue for new teachers. Many discipline situations can be corrected by examining your schedule and environment to prevent problems before they occur. While it's important to have a consistent routine, it’s also important to be flexible. If children aren’t interested or acting up, change plans. Develop a partnership with your assistant. She or he can make your job easier or more difficult. 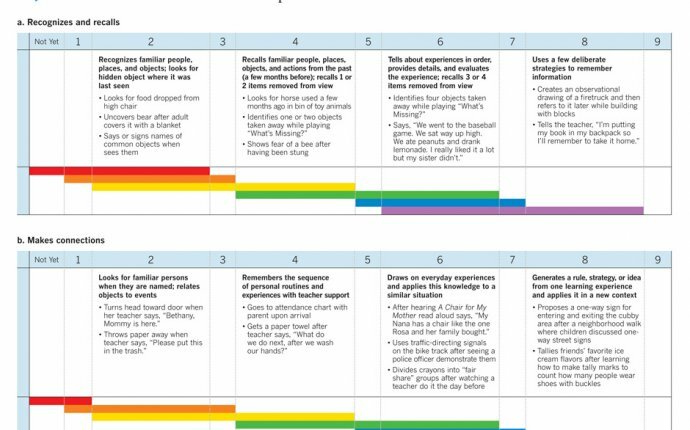 Discuss your role and theirs as well as expectations for each part of the schedule at the start of the year. Address problems when they are small and don’t save them inside and grumble. 3. Be an explorer. See things as fresh and new. Children will pick up on your enthusiasm. Expand your interests. Ask open-ended questions (I wonder what will happen if…how did you do/make that?). Respect children’s ideas, feelings and thoughts. Have fun. You chose this profession for a reason. Enjoy each day. Don’t worry if something doesn't’t work out as planned. Reflect and learn from your experiences. 4. Get to know every child as a unique individual. Every child is different and special. The best way to teach children is to first understand them. Children need to know that you respect and value them, which is the message they get when you take the time to talk with them, observe them, and learn about them as people. Find out what makes each child tick. What are their interests, temperaments, and learning styles? What motivates them? How do they learn best? What skills and talents do they have? What are their challenges? What special circumstances are there that affect them? With this knowledge you can teach children in a way that capitalizes on their strengths and builds their confidence and competence. 5. Become a keen and regular observer. Observation is probably a teacher's best tool. Learn how to be an objective observer right from the start. By taking a factual look at what children do and say you build relationships. You learn what children are capable of doing developmentally, how they approach solving problems, how they spend their time, how they interact with others, and what they are learning. For teachers, observation serves a number of vital purposes, including being able to keep track of all your children's growth and development, deciding whether to change or modify the environment, and determining if your curriculum needs to be altered to better serve children. The better observer you are, the more skilled you will become as a teacher. 6. Keep your sense of humor close by. Teaching is a serious job; there's probably nothing more important. But it's also a fun job. You want to never lose sight of the joy of being with young children. When a child does something humorous, share his delight. Laughing over funny rhymes makes phonemic awareness both more fun and impressionable. Celebrating the humor in a storybook like Agatha's Feather Bed: Not Just Another Wild Goose Story (Carmen Agra Deedy) or a song like "I Know an Old Lady who Swallowed a Fly", makes the experience more memorable. It's easy to obsess over problems and worry about things you wish you'd done differently. Humor, though, brings much-needed perspective. If you can maintain your humor, you'll be a much happier teacher-and most likely, a better one too. 7. Be yourself. Just as every child has his/her own personality, so do educators. As you become familiar with how each child learns and experiments let each child become familiar with you. Let them know who you are as well. Opportunities to build positive relationships will benefit children socially and emotionally. Serve as a model for the relationships you’d like them to build with each other. 8. Experiment. Young children explore and experiment, and so should you. Try out new ideas you may have. As you get to know the children, your planning for activities and interest areas will change. Go with it, and always ask yourself, “Developmentally, is this appropriate? What do I want to accomplish by planning/implementing this?” Carefully choose the materials and manipulatives you provide for the children. Always keep in mind that these materials should always be: A, working and useable; B, related to your study and purpose of play; C, purposefully implemented to help children reach goals and objectives. 9. Reflect. Engaging in self-reflection always leads to improvement. After you try something, ask yourself, “What worked about this? What didn’t? Why? What could I do differently?” Don’t worry if something doesn’t initially work the way you had planned. Learning by doing is very effective, and when you reflect you allow yourself the opportunity to improve. 10. Be patient. It takes time to settle in to a new program or school. Allow yourself time to adjust to your surroundings and the colleagues, children, and parents you will come to interact with on a daily basis.